Click here to view flyer (PDF). Indulge in sips, snacks and shopping at Evereve Birmingham and 15% of purchases will benefit ALS of Michigan. For more info, contact Kim at kkim@alsofmi.org. Put on your walk or running shoes and step out for a great cause! Click here for more information (PDF). A FUNraiser and summer block party featuring food, drinks, music games and fabulous auction items! Click here for more information(PDF). Enjoy a day out on the links with beverages, lunch at the turn, dinner and prizes while supporting ALS of Michigan. This special edition cookbook was created with love with recipes from the family and friends of Jean's Dragonflies. All proceeds will directly benefit our pALS and families. Cost: $12.00 each plus shipping. This cookbook will be perfect for any kitchen and will make a great gift, too! To purchase your cookbook, please contact Debbie Polley at polledl@yahoo.com or call 248-895-5993. Click here to support ALS at www.smile.amazon.com. 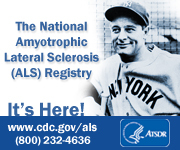 Just go to www.smile.amazon.com and make ALS of Michigan (38-2190726) your charity of choice. Then every time you make a purchase Amazon will donate a small percentage to us. It doesn't cost you a penny and it doesn't change the price of your purchase. But, all those "small" percentages add up to big money. Many of our families and friends put on their own events to support the efforts of ALS of Michigan. Some support their Walk teams and some directly support programs and services for our ALS families. For assistance in creating your event, email Joanne or call her at 800.882.5764.